“No one can do everything, but everyone can do something.” (author unknown). One of our long time wonderful volunteers is Charlie Fisher, who we are featuring this month. Here is a little insight as to why he volunteers his time at NCCR. 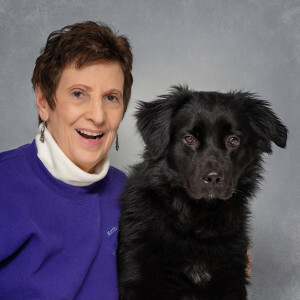 “My co-worker and friend, Elaine, had been volunteering at NCCR for years and had at one time mentioned the wonderful care their staff and volunteers provided to homeless puppies and dogs. After suffering the loss of my closest family member and dearest friend Forrest, my golden retriever, I decided to stop and visit this shelter in the summer/fall of 2011. Within a few days I started volunteering, first walking dogs which I believe not only they, but I also enjoyed. By being and having adequate volunteers, it gives the dogs and puppies in the shelter more time and opportunity to interact with people, other dogs, and the outside environment. I believe it makes the lives of the dogs and puppies at NCCR less stressful, more enjoyable, more diverse, and better prepares them for adoption. What I really love about NCCR is that it is a no kill shelter which goes above and beyond to insure that every dog or puppy they get in is well cared for and loved. I also am very pleased and very happy to see that they are able to adopt a lot of dogs and puppies each year. In addition to having the benefit of feeling good about providing some comfort and interaction with the dogs and puppies at NCCR, volunteering there opens your eyes to the good that others in our communities are doing, i.e. I am most appreciative of all staff members and volunteers at NCCR for all their contributions and efforts in improving and saving the lives of countless puppies and dogs and making this a better world. 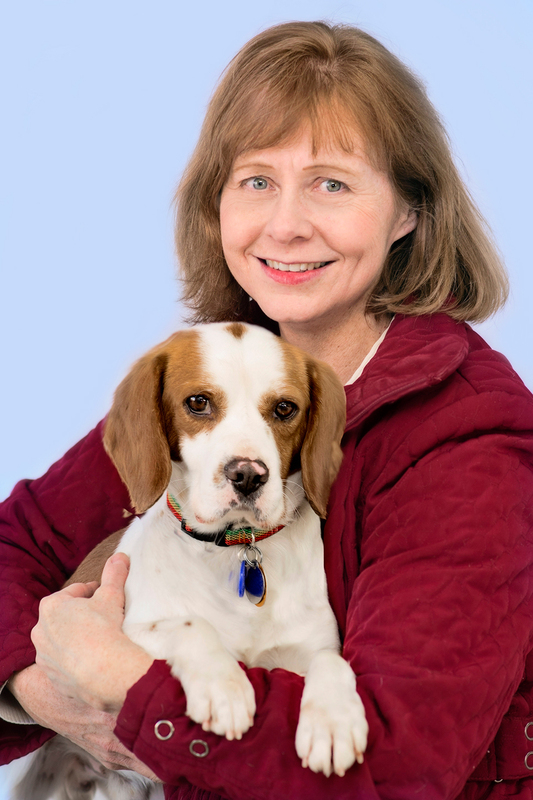 Marcia, the current director of NCCR, excels in this regard, whether it involves/involved driving to Erie, PA day after day trying to catch a loose dog or the countless puppies and dogs she has taken home to nurse, care for, and pull through a potentially fatal illness or injury. The staff and volunteers are all wonderful and interaction with some of them have changed my life, i.e I first started working with Stephanie. I was most impressed how easily she could get along with any dog, no matter how big or how frightened it was. In talking with her I learned she was a vegetarian. Not long afterward, I also adopted this practice and have yet to deviate from it, which hopefully improves my health. Being involved with NCCR and the volunteers and staff have also been rewarding personally in other ways, i.e. 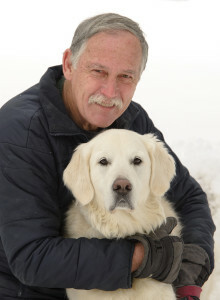 Jann, who I believe is the 1st founder of NCCR and an excellent photographer who takes pictures of all the dogs and puppies coming into the shelter, went to the trouble of taking numerous studio quality photographs of my dog Murphy and I on a very, very cold winter day- [these are pictures I will always cherish]. NCCR also provided Murphy the opportunity to have his picture taken with Santa Claus. There is no job too big or too small for Steve and Linda Douglas and we are so grateful to have them on the NCCR team! In 2009¸ Steve and I were looking for a dog to adopt as a companion for our Princess, a Pomeranian/Corgi mix. 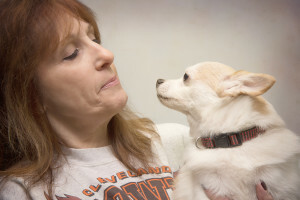 We searched rescue websites, visited the Chautauqua County Humane Society, the Erie County SPCA and others, looking for just the right “small” dog. I saw a Rottweiler, Turner, on the Northern Chautauqua Canine Rescue website that stuck in my mind. Over and over I returned to the website to look at him. Steve reminded me that we were looking for a small dog. I just couldn’t get Turner out of my mind. I decided to go to NCCR to meet him. That meeting and several more changed our lives. Turner became a part of our family shortly after. What I saw at NCCR really struck me. Everyone that I met and talked to there was so kind and caring. It was obvious that they cared about each and every dog and wanted the right homes for each of them. 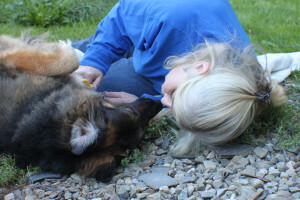 The kennels were all clean and were individualized to meet the particular dog’s needs and likes. All had kuranda beds; some had hard toys; some had stuffed toys, some had a blanket; some had more than one. I sent regular updates to NCCR on Turner’s progress and new life. Sadly, Turner was diagnosed with cancer in 2010 and that news was shared with NCCR.The support from everyone at NCCR meant so much to us. We lost Turner to cancer in October of 2011. Sympathy cards came from NCCR that touched our hearts. After losing Turner, we wanted to give back to NCCR by volunteering our time. We began working the Friday night shift and still are now. We also help at events, such as spaghetti dinners, the Fredonia Farm Festival, Tractor Supply pet events, Westfield rabies clinics and other events promoting and benefiting the dogs of NCCR. 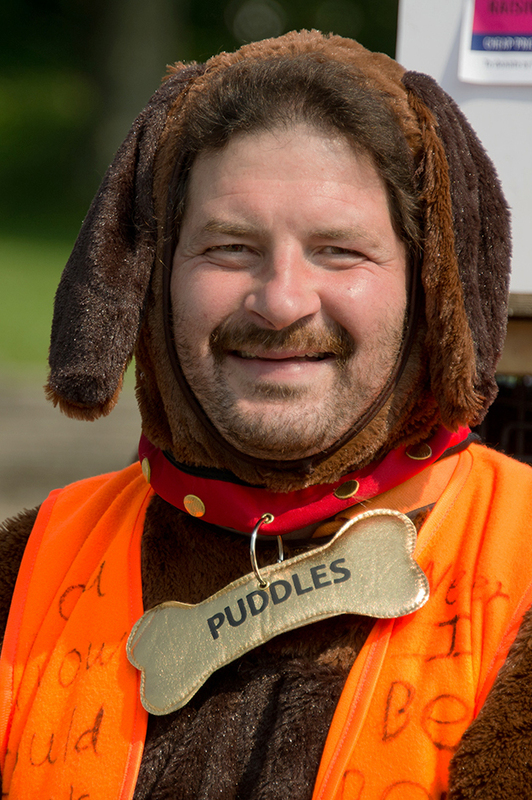 Steve has worn a dog costume in the Mayville parade and at Trunk or Treat in Jamestown this past Halloween. We have fostered, too. 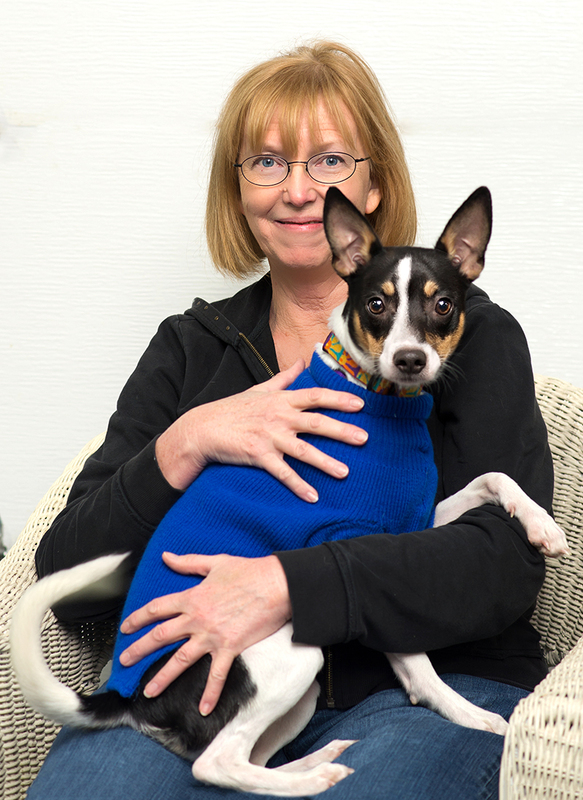 Every time a dog is adopted, we know that we’ve been a part of helping that dog and it’s a good feeling. In 2012, we learned of rescue transports. 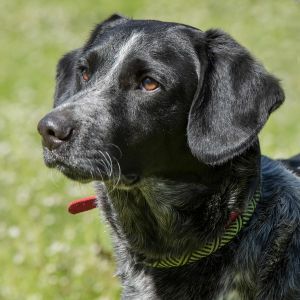 Groups/teams of drivers all across the country drive “legs” of relay teams, transporting dogs from kill shelters to rescues, foster homes and even to forever homes. We became a part of many of these teams and drive almost every weekend. Sometimes we drive one dog; sometimes we drive several. Our transports average 50 miles. We meet other drivers who hand off dogs to us, then drive those dogs to a meeting place where we hand them off to the next drivers. We are helping to save lives of dogs that otherwise may have been lost. 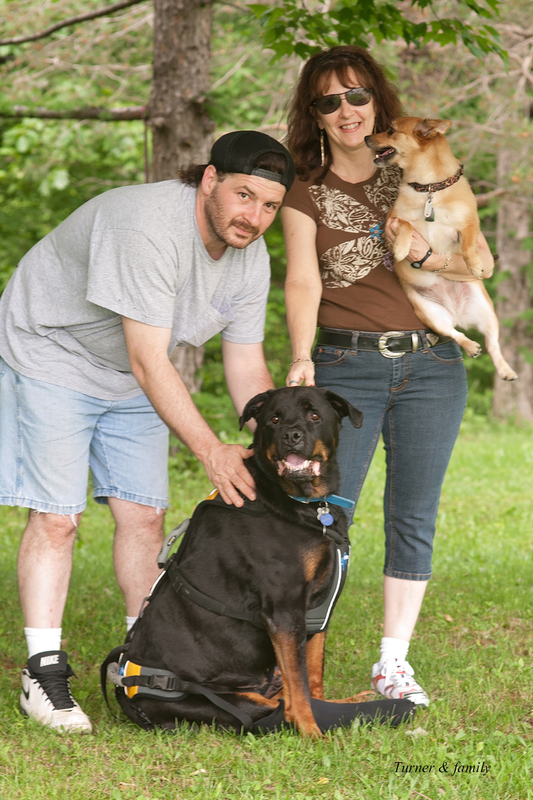 Through NCCR and transporting, we have met many new friends and are a part of changing the lives of many, many dogs. It all started with Turner! Volunteers are the very heart and soul of NCCR. 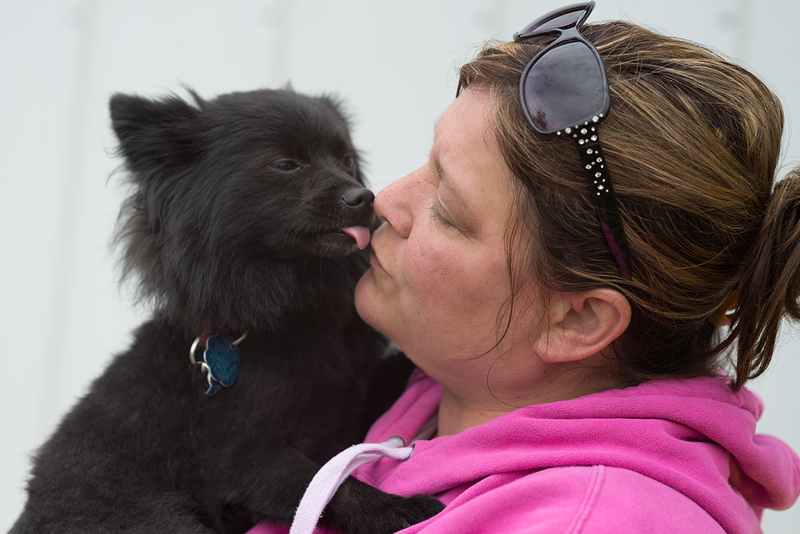 Without everyone’s efforts we would not be able to care for 200-300 dogs each year. One of our great volunteers is Lynn Marie Schroeder. I have always been an animal lover, and knew there was a soul behind their eyes. Compassion for every stray I saw, and wanting to shelter and give them love. The chance came to do just that about 8 years ago when I visited NCCR with my mom as she wanted to adopt a friend. From the moment I walked into the building, the feeling of love, compassion, friendship & common goal drew me to apply to volunteer. I started out with a 2 day morning shift of feed,water,walk,play,love.I had to scale back a bit and help with events and sponsorships, but always found time to enter each kennel and love up a furbaby. Nothing is more beautiful to see that scared,confused dog crawl into your lap, trying to trust again in a human. I have fostered over the years, litters of puppies ( I love puppy breath) terrified puppy mill dogs, abused dogs and dogs dropped off because they aren’t wanted any longer. Watching their transformation into happy, playful, smiling, devoted creatures is wonderful for my soul, not to mention theirs. Then there is the friendships of my fellow rescuers. We keep each other going when it gets rough, laugh at ourselves and our charges, and share our devotion to help these amazing creatures. I treasure these wonderful people I consider my friends. When people learn that I volunteer, I hear the same old ” I could never do that I would bring them all home” That was me,I thought that way…but that changed when I held my first little terrified furbaby, I knew I was making a difference in their lives without bringing them all home. And this is why I volunteer. Diane Weakley has volunteered at NCCR since our days up on Hardscrabble Road. I have been a volunteer at NCCR since the spring of 1996 when I moved to Westfield. 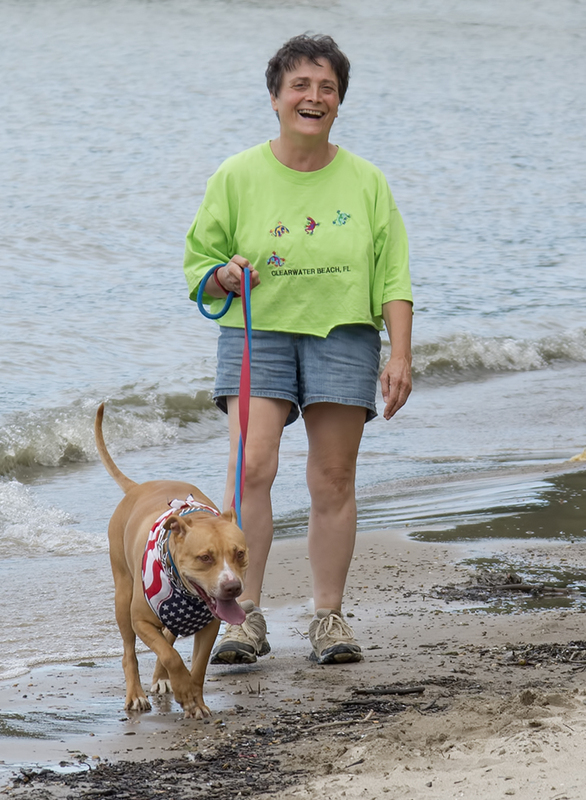 I started out as a dog walker before the shelter was on Gale Street and before it officially became NCCR. At that time, I would spend time with and walk each dog…showering them with love, care and kind words. Now, almost 20 years later, I am still a friend to the lost and mistreated 4 paws that arrive at NCCR. I have also been a foster pet-parent to a few of NCCR’s dogs until they were adopted into their forever homes. I also do pet education programs in my classroom to educate my Second Graders about pet ownership, its responsibilities and its rewards. It is the best feeling to see all the dogs, at the end of my volunteering shift, fed, tummies full, bodies exercised and sleepy from the fresh air…all tucked in their beds, warm, safe and happy. When I leave at the end of my shift, I know that I have made the difference in the lives of a few animals in my little world…and they have made a difference in mine! Don’t forget, a shelter pet can bring you many years of smiles and memories that live on long after your pet has passed on from your loving arms! One cold winter evening I looked at my dogs peacefully sleeping on the couch and thought how lucky they are. They have a warm house to live in, good food to eat and a person who loves them. They inspired me to want to help other dogs who are not so lucky. 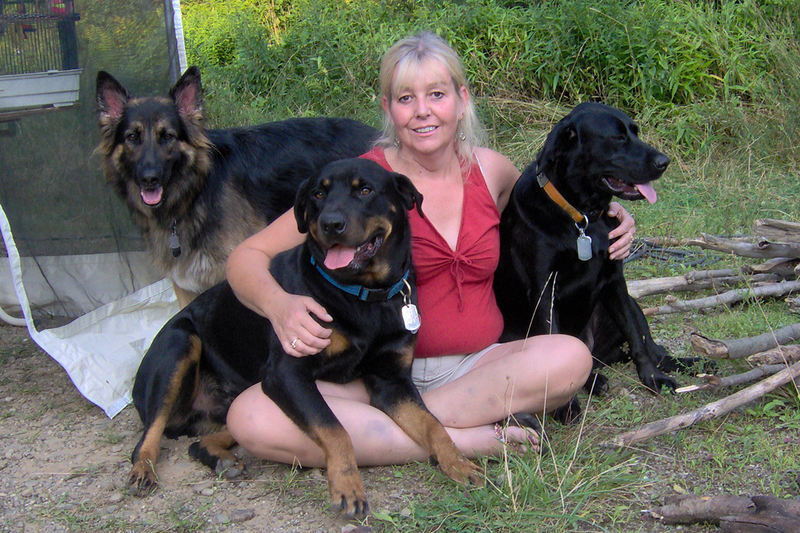 I started at NCCR walking dogs and helping in the kennel one morning a week. The dogs would come in from many different circumstances. They were homeless, scared, some were injured or from another shelter, one day away from death. 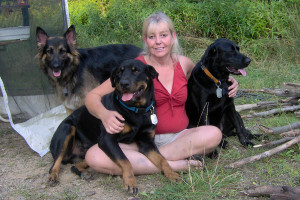 “I became a volunteer for Northern Chautauqua Rescue because of my compassion for dogs. As a young child I had bonded with every dog I ever came across. It seemed that all the strays in town knew exactly where I lived. And if one should happen to need a place to stay, food, or even a sore spot treated, I was there to provide it for them. I had accidentally come upon NCCR when they resided in an old pole barn where NCCR first began. I was looking for a missing dog for a friend of mine. That’s when I met the founders of NCCR, Jann Balsano and Brenda Luce, and saw all the wonderful things they were doing for the many homeless, abused and surrendered dogs. I knew immediately that this was my calling. And so it began… The many hours of helping these poor pups that were in need of the love, compassion and companionship that we were able to give them, was very fulfilling. I knew from the first day that I looked into their empty eyes, that I could not just turn my back and walk away from them. They needed me. They needed us. And never a day went by that I regretted the hard work that was involved. Because at the end of each day, I knew I helped save these poor helpless pups that would never have survived without us. It made me feel complete. To this day, I still help NCCR out in many ways. I started my own boarding kennels so that I still had the day to day contact with my furry friends and I always keep a kennel or two opened for a rescue in need. 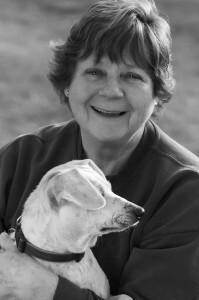 Dana served as Co-Director, Dog Control Officer for Westfield/Ripley and NCCR Board Member for many years. In addition to providing foster care for dogs or puppies when needed, she owns and operates Creekside Boarding located on Minton Road in Westfield. Posted in Volunteer	| Comments Off on Why Volunteer? Why Not! When my husband and I moved from Ohio to Ripley fourteen years ago, a friend mentioned that a local shelter was seeking volunteers. My first thought was, “Dogs! What a worthwhile endeavor to participate in.” I grew up in Central New York with animals in the home, and learned at an early age that there was something special about them. I have learned as an adult that they share a tremendous amount of positive energy with us and even help to enhance our own humanity. I find the most rewarding part of volunteering is developing a bond with the dogs. Some of my most favorite times at the shelter are having a shy or lonely dog warm up to me, put his head in my lap or feel safe enough with me to fall asleep on me as I sit in his kennel and listen to him snore in complete tranquility. For me, knowing an animal trusts me, belly up or snoring, is one of the greatest privileges I am granted in life. I volunteer to accept this privilege of helping and bonding with these dogs. And when they find their forever homes, I cry because I am happy knowing that they have finally received the love and respect they were always deserving of. 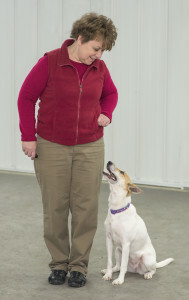 The volunteers at NCCR work very hard to see that each dog is able to realize his potential. In a way, we are all teachers and nurturers. The opportunities to volunteer are numerous. I always appreciate the volunteers who tirelessly spend countless hours working to find our dogs good homes, losing sleep to help deliver puppies, healing dogs with vet appointments and administering medication and even sleeping at the shelter to soothe a distressed animal. Not everyone is able to spend hours upon hours. There are so many ways people can help the dogs. Of course, there are the usual duties of cleaning kennels, feeding, playing, walking, doing laundry, cleaning the yards. There are also opportunities for writing grants, fundraising, attending special events, and so many other things. There is always something to do at the shelter or for the shelter off site. A volunteer can always find his own niche. Please join us in helping our dogs. If you like dogs, if you are seeking a productive activity, if you want to help dogs, consider becoming a part of our shelter family. We always welcome new volunteers. I remember a summer when I was a kid, hearing the distant sound of my sibling’s voices rising and falling as they played kickball or raced each other on their bikes. Me? I was hunkered down in the hay in our barn, quietly watching our beagle with her newborn puppies. Each day there was an amazing change in their development, so I couldn’t wait to get out there each morning. That was the summer my true fascination with dogs began. As an adult, I’m still obsessed with canine behavior and development. I feed that obsession by volunteering at Northern Chautauqua Canine Rescue. What’s special about NCCR is that each dog is treated as an individual. NCCR’s group of dedicated volunteers take time to get to know every dog and care is tailored to each dog’s personal well-being. A dog may have an upset tummy and need a special meal. A dog may be shy and need some extra coaxing. A dog may need to learn to walk on a leash. There are so many ways to make a homeless dog’s current situation a little less scary and a lot more joyful. If you think you’d like to learn more about them or spend time teaching an old dog a new trick, then contact us for information about upcoming programs and training. Believe me, the more you learn about dogs, the more you’ll want to know. 2014 may be the year your own canine obsession begins.